The Reyes Team (Gabe,Michael,Danielle and Sue) did an outstanding job in all aspects of selling our home. Sue did an amazing job in transforming our home into a model home. Danielle did an excellent job in scheduling various inspections. Gabe and Michael were able to get top dollar for our home and also they were able to find our retirement home in The Villages. We highly recommend The Reyes Team as they are very knowledgeable and professional. Gabe helped me to purchase my recent home in the Evergreen area. He went through each and every step extremely professionally and made it look really easy. He is really passionate about the real estate business and goes extra step to get things done while some other agents I know would go into the wait and see approach. I was fortunate to find him and the purchase was closed quickly. He even helped me find tenant for my other home without any charge. I strongly recommend him to anyone looking out for a purchase or rental service. Gabe and his team helped us find our dream home. They even gave us contacts to get it totally remodeled. Can't thank them enough for getting me and my family into a single family home in the prime location of Milpitas. Gabe did a great job for us, we were unable to acquire a loan from other sources. He made it happen for us, having difficulties acquiring a loan? Gabe is your guy. He is awesome! Thanks Gabe!! We love our new home. Gabe Reyes is very dedicated and detail oriented real-estate agent, He has sold my town house in no time. Recently I have a lot on sale for single family home with building permit from City of San Jose, he diligently worked on it and got several offers. Thanks Gabe. Gabe and his team were very professional and responsive to our project. Gabe helped us sell our home for a great price and found us a great home in Morgan Hill. Gabe is my only choice for anything Real Estate related. Very experienced and knowledgeable. Gabe did an amazing job selling our former home (well over asking price!) and negotiating a great deal on our new one. He was always available and attentive. We couldn’t be happier and would not hesitate to use him again. My husband and I worked with Mr. Gabe Reyes to sell our home and we do not know what we would have done without his patience, guidance, experience and support during that process. He expertly marketed our home. He studied all of the offers we received and picked the best one for our tight schedule. We have such gratitude for him helping us to realize our dream of moving to a larger home. We fully appreciate what a major role Mr. Reyes had in making our dream a reality. I highly recommend Mr. Reyes for your real estate transactions. Gabe Reyes, embodies excellence in every way. The rat-race of finding and purchasing a home in Silicon Valley is intense. Years of experience, connections, & grace empower Gabe to clearly navigate each home purchase with excellence. The stress to find & purchase a home, he carried. Gabe freed us up to truly enjoy the process. We highly recommend Gabe Reyes for ALL your real estate needs. Gabriel Reyes (Gabe) has been our property management for the past twenty years. We know Him personally and have been doing a splendid job in renting our property. Our rental has been occupied most of the time, in some occasions up to four years to the same tenants and always makes sure all go well and smooth on each transaction.He is highly recommended by us. It was a pleasure working with the Reyes team. I thought it would take forever to get a home in this market but the process with Gabe was quick and efficient. The team is very good at all of the details from start to finish. I highly recommend them. Gabe and Michael sold our home in evergreen within days. We had multiple offers, and received more than our asking price. The Reyes team is very knowledgeable and a pleasure to work with. I highly recommend them. Gabe did a wonderful job helping us sell a former rental property, exceeding our expectations for both time and price! He is clearly customer oriented, and can provide any prep services needed: patching, painting, landscaping, cleaning...you name it. His longevity in Evergreen is testament to his capabilities. He knows the market inside and out. I'd use him again in a heartbeat. Gabe was great! He goes above and beyond just being your Realtor. He takes the time to explain the process of buying and selling your home. Gabe works very hard to give you exhalant care. We had the opportunity to work with Gabe and Michael Reyes on the sale of our home in the Evergreen area. We interviewed multiple realtors before finding the right fit. We found them to be realtors that truly cared about our needs. They provided patience and guidance throughout the entire process. They were amazing in identifying qualified buyers within a few weeks of the listing!! We highly recommend Gabe and Michael for your real estate needs. These two are an amazing team! My husband and I interviewed multiple realtors to sell our home. When we met Gabe and Michael we found them to be true professionals. We were very happy with the support and services they provided during the listing and sale of our home. They held multiple open houses and we had an offer in just a few weeks. They took the time to guide and advise on the entire process and very patient with all our questions and concerns. We highly recommend both Gabe and Michael for your real estate needs!! They are the best!! I highly recommend Mr. Reyes for anyone who is seeking real estate services. Mr. Reyes is knowledgable and professional in every aspect of the sale of my father's residence while the matter was in Probate. 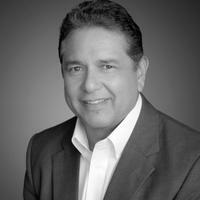 Mr. Reyes was calm, assertive, compassionate, and knowledgable in every aspect of real estate. All key aspects which assisted in as smooth a transition as possible with the many challenges he faced head on. It was a pleasure and a relief with my many duties for the Estate to be working with Mr. Reyes. Should I require real estate services in the future, I would hire Mr. Reyes without hesitation. I have known Gabe since the 7th grade and remained distant friends until he help me purchase a couple of duplexes in Stockton in 1996 & 1998. He recently help myself sell my Mom's condo. Gabe's personality and knowing his craft makes it a very enjoyable experience to buy and sell property. I highly recommend Gabe and hopefully we will do business again in the future,Thanks Gabe. hole. Please do what he recommends, ask lots of questions, and enjoy the process. your beautiful home. Jeffrey P. Goodere, President of BALAC, INC.